The wines are more European in style than their South American counterparts. So ditch the comparison with Argentina and Chile and think more about European light, fresh, food friendly styles. 40% of all wine made in Brazil is sparkling. This is their real point of difference. They make sparkling wines as they do in Champagne from Chardonnay and Pinot Noir using traditional method. They also make a wide variety of sparklings using the Charmat method (as in Prosecco) but it’s their fruity sparkling lower alcohol Moscatos that are especially enjoyed the world over. In general, the abv (alcohol content) of the wines is relatively low, making them especially food friendly. There is one area of grape growing just 8 degrees from the equator in the North of Brazil where two harvests a year are possible. Grapes grow here thanks to the vast Sao Francisco river whose waters are used to irrigate the vineyards. Only 2% of Brazil’s wine comes from here. The majority of the winemakers have Italian heritage. Their ancestors started coming over to Brazil (principally from the Veneto) in the 1870’s. They still mainly eat Italian food. 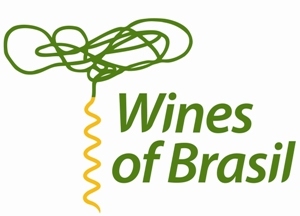 Wines of Brasil in the UK is managed by JK Marketing. We are thrilled to announce that JK Marketing took on the big boys of the wine marketing/PR sector to win the highly prestigious Drinks Business PR Company of the year 2015. 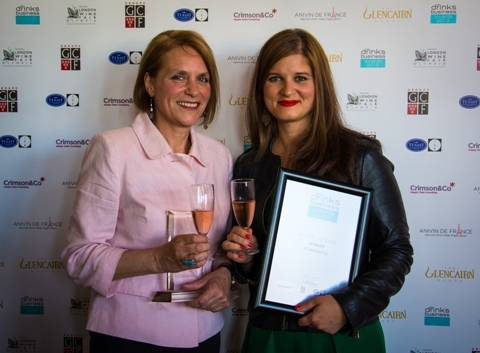 From a short-list of three of the UK’s leading PR/marketing companies, the announcement was made at an awards ceremony during the London Wine Trade Fair at Olympia. As we went up for our award, the organisers played Stereo MC’s ‘connected’ – click here to listen – very apt! It’s a great thrill to have been given this award. We are a very small team, but we pride ourselves on always going the extra mile. Business matching is key to every project we create, and this is why we are able to achieve such good results. We also have to thank Tom Dent of Double D Creative in Lymm who supports the creative elements of our business and is an invaluable member of the team. Find him at www.doubledcreative.com. These awards are the only drinks trade awards that recognise the business sectors of its markets, so this really is the award to win in this industry. After a successful launch in 2014, Esoterica returns to Olympia’s gallery level at the 2015 London Wine Fair. 79 small scale and quality importers displaying 14 wines each in a table-top environment. If you’re looking for a niche UK importer with a fabulous selection of wines, look no further. Perfect for visiting independent retailers, sommeliers and press looking for interesting stories. The UK’s native & alternative grape specialists, with scrumptious wines from small producers in Italy, France, Spain, Portugal, Germany and Australia. A young & intrepid team, Red Squirrel has been drinking outside the box since 2012 and works with indies, bars & restaurants across the country. Eclectic Wines has been specialising, for the past 13 years, in wines made from Greece’s ” Treasure Trove” of indigenous grape varieties displaying real character and a sense of place. Indigo Wine specialises in fresh and balanced wines from family-owned estates. While we’re best known for our Spanish selection, we’re equally proud of our growing portfolio of wines from Australia, France, Portugal, South Africa, United States and beyond, focusing on cooler-climate terroirs and restrained styles of wine making. Hispamerchants was established in 2002 as a specialist importer of Spanish & South American wines. As well as Malbec, single varietals from Argentina on taste at Esoterica include Cabernet Franc and Petit Verdot. Wines from Spain’s Priorat and Rias Baixas DOs amongst others complete this selection from our 2015 range. Concert Pianist based in London, vineyard owner in Bulgaria and producer of limited wine series. Annual production of 20,000 bottles. Importer of fine Bulgarian and Italian wines. Come to my stand and let me excite you too! If you want to try a 30 year old white wine, 20 year old red, delicious boutique port or fresh fruity reds there is only one place to go! Established in 2002 by wine buyers, Nick & Laura Mason, we are importers/distributors of predominantly organic and biodynamic wines. Contrary to banal, mass produced wines, ours are distinctive and quality driven, sourced from vibrant independent growers and offered by our passionate/knowledgeable team who’ll look after you personally and properly. Nothing But The Grape specialises in importing organic fine wines. We are a small independent wine importer, sourcing wines from vineyards whose ethos and philosophy we admire. Our wines are selected from vineyards who respect and nurture their soil, their vines, and their grapes to produce the finest wine possible. Harley Wines supplies solely to the independent off trade and on trade. From roots with four family run South African vineyards we’ve recently taken on the agency for three Uruguayan vineyards. We deal with unique and interesting vineyards and customers. New Generation Wines was established in 2006 to exclusively import a selection of dynamic, up-and-coming stars from across the wine world. We have built up a portfolio of wineries following a strong theme – they are owned and run by driven people who demand the highest quality. Condor Wines is a specialist for Argentina and Chile, representing producers located in both established and emerging regions. We supply leading distributors throughout the UK, offering a diverse portfolio and wines with an exceptional price-quality relationship. Founded in 2009 we now represent over 35 producers who we have visited and respect enormously and we work with over 100 restaurants and 30 independent wine merchants. That is what we do. We at the Winemakers Club welcome the unusual and interesting, especially in our wines. With producers that offer a reflection on their land and its surroundings. This year we are celebrating our 40th year in business! We offer exclusively shipped quality wines from smaller producers that are not sold to supermarkets or other chains. Excellent wines from France, Germany, Italy, Spain, Argentina, New Zealand and Australia – several new to our list. Las Bodegas is the UK’s leading specialist importer of wines from Argentina, all from small to medium-sized wineries, with a growing list of wines from Languedoc-Roussillon and Spain. The company also specializes in developing and supplying proprietor wine brands to customers throughout the UK. Importers of Fine Greek Wine. Our knowledge and collaboration with boutique wineries goes a long way and allows us to offer the best labels from 15 quality producers and more than 10 indigenous grape varieties. Over 65% of our wines are certified organic, some biodynamic and released in small quantities. Maltby&Greek is the UK’s leading supplier and distributor of premium Greek food and wine, sourcing the finest quality food and wines from around Greece, working directly with a network of small artisan producers. We currently represent: Alpha Estate, Domaine Karanika, Domaine Sigalas, Domaine Spiropoulos, Ktima Kokotos, Ktima Vourvoukeli, Mylonas Winery. Burridges of Arlington Street’s objective at 2015 Esoterica to highlight indigenous Spain and to show our audience the huge and unique scope of grape varieties and styles with their regional variations. These are the gems that really make Spain unique from any other country in the world. Go Brazil Wines, now celebrating its fifth anniversary, is the UK’s only importer specialising exclusively in Brazilian wine. In this pre-Olympics year, it’s a great time try our new Viognier; Malbec, Tannat and Shiraz blends; and semi-sweet sparkling Moscatel. We welcome enquiries from all UK trade sectors and from overseas. Aussie Rules specialises in “new-wave” Aussie wines from cooler regions with an emphasis on elegance and finesse rather than power and strength. Our portfolio of outstanding wines from small, boutique producers has developed a strong foot-hold in the independent retail and regional wholesale channels in the UK. Established in 1936, the business passed into the hands of Richard Kelley MW in July 2014. Our objectives are to build existing French agencies, whilst introducing producers from other parts of France; noatbly the Loire. We also represent some of the most dynamic names from South Africa. We have a strong reputation for finding wines that punch above their weight, for unearthing rough diamonds, for spotting tall poppies and, above all, for using clumsy and ungainly metaphors. “The Independent Specialist” distributing high quality wines to the UK independent and wholesale trades. New to the 2015 Cachet list are seven Burgundy Domaines and Bordeaux Chateaux. Come and taste 14 great wines from Gardet Champagne: Pocas Douro & Port: Mendel Mendoza: Avondale Paarl and IRVINE Grand Merlot, Eden valley. The American Way is a highly selective portfolio of American wines from some of California’s most passionate and talented winemakers. All wines are new to the UK and represent our favourites from a lifetime of tasting US wines. All wines shipped directly. SimaVin the Italian sparkling wine company. We focus in bringing the best bubbles Italy has to offer. We work directly with small producers with a rich history and tradition. Independent Wine Merchants since 1993. Importing much of our own wine needs and we will be showing some of our favourites which we would like to share with other indies. Expression Du Terroir is the wholesale arm of London Based Independent Wine Merchant Borough Wines. Focused on supplying wines exclusively to the on trade and independent retailer, we work with dynamic, emerging winemakers rather than big Domaines to bring the best of a region’s terroir to the UK market. A fresh approach to Bordeaux. Working with the independent retail sector and the on-trade we’re redefining preconceptions of this phenomenal wine region. We specialise in great value Bordeaux from artisan producers whose sole quest is the creation of wines that illustrate the depth and diversity of France’s 33rd Departément. Hallowed Ground champions fine wine from across Australia, New Zealand and Italy. Our diverse portfolio showcases regionality and true expression of site from small family run estates who each breathe, live and love their wines and the land they are produced on. Our main agency is Vondeling Wines, from South Africa. Others include Provence Rosé Chateau L’Arnaude, Claret from Denis Lafon, Two Degrees Pinot Noir from Central Otago, Quinta Da Touriga and Michel Mailliard Champagne. We also represent Otero Ramos from Mendoza and Italian Terre di Valgrande and Pinkster Gin. halfwine provides a service that’s on par with having your own sommelier source outstanding half bottles of wine on your behalf. We only sell wine in half bottle sizes, and ours is the most comprehensive range of 375ml bottles in the UK today. Each wine is personally curated by us. Top Selection is a bespoke, innovative wine supplier, dedicated to sourcing original wines, made by passionate winemakers, from around the world. Character Wines specialise in sourcing wines from more unusual countries which will appeal to businesses and individuals looking for something different. The wines are particularly suitable for restaurants, wine bars and specialist independents. Wines are selected at source by our in house team which includes a Master of Wine. Robert Rolls & Co is an independent wine merchant purchasing directly from growers in France, specializing in Burgundy, where for over 30 years Robert has been working with some of the most reputable domaines. In addition, we have a wide-ranging array of terroir-driven wines from across France’s principal appellations. Barton Brownsdon & Sadler, established in 1985, is a family-run wine importer and agent that specialises in supplying the independent trade from UK stock held under bond and ex-cellars. Traditionally strong on France, BBS also represents some good producers from elsewhere in Europe and the New World. Delibo Wine Agencies sources innovative wines from around the world which offer quality and value. Most are from independent, family-owned, ‘boutique’ producers. After spending a generation in the UK wine trade, David Large decided to create a wine business that relies on the sourcing of wines from small estates obsessed with making wines of great quality and typicity. The Wine Agency seeks to offer esoteric wines of amazing value-for-money. I bought my South African wine farm in September 2010. We produced our maiden premium wine vintage in 2013 for which we have received multi awards, including gold, in many parts of the world. Our wines are top quality, at very attractive prices, made by maverick winemaker Martin Lamprecht.. Since 2002 Theatre of Wine has been on a voyage of discovery. A voyage beyond the grand crus of Burgundy and the classed growths of Bordeaux, a voyage to discover new wines from new regions. We look forward to introducing you to the wines and their makers. Italian wine specialist sourcing direct from independent producers. Outstanding quality wines from indigenous and mainstream grapes. Importing wines we passionately love at realistic prices. Looking to increase our network and coverage within the UK. SpaNiche Wines is a company set up to import fine wines from Spain and highlight the wide selection the country offers. These wines come from small, mainly family-run wineries in different regions from wineries where the ‘terroir’ and the age of the vines are of the utmost importance. Delicious, unoaked, French wines carefully selected from independent growers in the Loire Valley. The growers, many of whom have a connection with the land dating back centuries, make these wines in relatively small quantities. The wines are raised year by year according to the characteristics of the climate. Single Vineyard range from the Waihopai Valley, Marlborough: includes Sauvignon Blanc, Pinot Noir, Dry Riesling, Pinot Gris, Gewurztraminer. Targeting On Premise. Debuting 2015: Little Beauty BLACK EDITION; limited production, wild barrel fermentation wines including Pinot Gris, Sauvignon Blanc and Pinot Noir. Little Beauty is privately owned and independent. An award winning, national importer, our unorthodox portfolio reflects our enthusiasm for the diversity of the world’s wines. Our selection does not pretend to be comprehensive: instead, we select wineries which we consider to have something truly distinctive and unique to offer, wherever they may come from. At Humble Grape we sell to the On-Trade and Independents. Our wines come from the small producers around the world who are making little hidden ‘gems’, which have yet to be discovered. Come visit our stand so your taste buds can figure out how small producers make the best wines. Extraordinary wines for the independent on and off-trade. Our philosophy for Sommelier’s Choice is and always will be to “handpick” boutique wineries producing wines of excellent, consistent quality. We hope you enjoy our wine selection as much as we do. A small group of wine-producers make up ‘The Shared Table’. The wines on show come from across Europe and include, ‘Domaine of the Bee’, ‘Mas Gabriel’ and ‘Domaine Treloar’ from the Languedoc Roussillon, ‘Marco Abella’, of Priorat, ‘Orovela’ from Georgia and finally, ‘Hart of Gold’ from East Sussex. Celebrating 30 years of importing organic drinks, Vinceremos has a superb range of well over 300 organic wines from Europe and the New World. The selection also includes Biodynamic, Fairtrade, Vegan-Friendly and No Sulphur Added wines and a wide choice of organic beers, ciders, spirits and liqueurs. Friendly nationwide service. Portuguese Wine Specialist – We offer wines seductively original, with an exceptional selling potential. Our portfolio is diverse and covers all price points, we can provide personal advice, staff training and promotional events at your premises. How to describe our wines?. Let’s start with amazing, wonderful, delightful, perfect, ideal, elegant, sophisticated, classy, tasteful, refined, tasty, appetising, succulent, flavoursome, delicious, yummy, premier, best, leading, exclusive , elite, select, special . Words are good but actions speak louder so come to meet us for a special tasting! Tilley’s Wines is an importer and distributor of premium wines from South Australia. Founded in 1985, it remains a family business led by Ivor and his daughter Annabelle. We champion small, family-run vineyards that produce wines soaked in character and complexity that exemplify the quality and personality of the region. One man band that has been working in the wine industry for twenty years, my experience is wide ranging, from working with mail order companies as a wine researcher, running a wine importing business in the Channel Islands, to developing and implementing a vineyard for the Barclay Brothers on Sark. The Antipodean Sommelier is an Independent Specialist Importer of Award Winning, Premium Wines from both New Zealand and Australia. Set up by Tony Wellings and James Leary in 2011, the business has gone from strength to strength and now supplies many of the UK’s Top Independents and On-Trade Wholesalers. We specialise in finding the unusual and the unique . Wines full of personality and charisma which are ideal for the adventurous by the glass list. We bring a peerless selection of wines from the Alpine regions at the heart of Europe, campaigning tirelessly to share our delight in these wines, their terroirs and the people and culture that produce them. We are the premier importer and distributor of Swiss Wine to the UK. We only work with small, artisan wineries run by honest and passionate families that have decided to create wines that are unique, authentic and engaging as the characters behind them. While on paper they might seem miniscule operations, nothing is modest about their wines and the values they stand for. Yapp Brothers Wine is widely recognised as a leading importer of French regional wines and was named Specialist Wine Merchant of the Year for the Loire at the International Wine Challenge. Our 2015 list is the most extensive to date and includes a wealth of new discoveries. The Smiling Grape Company is an independent wine merchant based in St Neots, Cambridgeshire. As our name suggests, we sell fun, delicious and enjoyable wines that make people smile! We source exciting wine brands from across the world available in the UK for both the on-trade and independent merchants. Croatian Fine Wines imports some of the finest wines from throughout Croatia into the UK for wholesale distribution to the on and off-licenced trade and for direct retail marketing and sales. Our wines come from regionally and nationally recognised wine producers. Serenity Wines imports small, artisanal producers from Languedoc Roussillon. 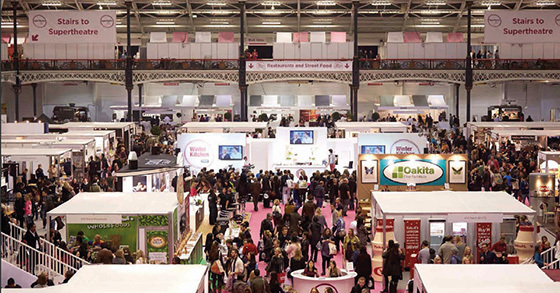 Domaine de Sainte Rose and Domaine Jones will be exhibiting at the London Wine Fair this year. Blice Wine Ltd specializes in sourcing unique wines from Slovenia. Our partners are boutique, passionate wine-makers dedicating their time and care to nature friendly production, creating high quality wines. You can experience and enjoy wines than arouse the taste buds and generate a burst of flavours enchanting your palate. The Knotted Vine is a young and dynamic London based wine importers dedicated to working exclusively with hands on, quality driven winemakers from across the globe. By supporting deeply passionate producers and selecting wines based purely on their excellent quality, TKV delivers wine that will bring enjoyment with every drop. Currently the largest distributor of Croatian wines in the UK, Vino Nostro represents passionate and dedicated winemakers with leading varieties from all the key wine-producing regions, showcasing their award-winning interpretations of Pošip, Malvazija, Graševina, Škrlet, Debit, Babić, Plavac Mali, Crljenjak and Teran. ASDW is a collaboration of circa 20 independent wine merchants importing and retailing niche wines from around the world to public and trade. On today’s stand the association is represented by Bela Wines – Portuguese Niche Wines; Green Cellar Wines- Premium Organic & Biodynamic; Sustainable Wines UK- Sustainably-certified, Organic, Biodynamic. We specialise in quality wines from small, independent, artisan vineyards that are true to the grape, the people and the place. All our wines are made with minimal intervention and are low in sulphite. No synthetic fertilizers or pesticides are used. These are clean wines with purity and focus. Di-wine is an import company based in London, founded by the Paoletti sisters thanks to their love for fine wines. After traveling to Uk, we decided to start this business to share one of the most famous and excellent product of our land, Tuscany. Wines Unearthed is a new area of the London Wine Fair, specifically for wineries looking for distribution. You will find 60 exhibitors and more than 70 wineries from 19 different countries. Tenuta la Parrina is one of the oldest historic farm that lies between the low hills of the Tuscan Maremma in a spectacular landscape with olive trees, wine yards and fields of golden grain. It’s framed in a land of rare beauty: Mount Argentario and the two narrow sand bars called Giannella and Feniglia that cordon off the magnificent Orbetello lagoon. From the Earth to the lagoons, a look at the sea and then back to the ground. The company is spread on an area of ​​about 200 hectares of which about 60 are destined to vineyards, 40 to fruit production, 20 to the horticultural, 22 to the olive plants, and the remaining are divided between arable land and growing nurseries. Discover the range of sparkling wines that are a real speciality of Brazil. You’ll find traditional method chardonnay and pinot blends, as well as wines made by charmat method, and fabulous low alcohol sparklers made from Moscato. The ancestors of many of Brazil’s wine producers came from the Prosecco region of Italy: sparkling wine making is in their blood. We invite you to try the wines from Basso, Garibaldi, Campos de Cima, Caves Geisse, Don Giovanni, Salton, Aurora, Miolo and Casa Valduga and be the first to taste the new ‘i heart Brazil’ wine from Copestick Murray. 1. CAMPOS DE CIMA, VINÍCOLA BOUTIQUE – Campos de Cima Brut Sparkling, NV – Traditional method, Campanha Gaúcha region, 12% abv. Additional information: This product was created with Chardonnay and Pinot Noir grapes from from the vineyards of the Campos de Cima winery, located in the eastern Campanha region of Rio Grande do Sul. It is the result of a pioneering experience in the production of these grapes in the region. With excellent health and appropriate chemical composition of the grapes, it was produced by the traditional method; a fine, elegant and harmonic sparkling wine that is very typical and, at the same time, has a strong personality. Predominant citrus aromas are mixed with nectar and date, with a slight finish of backyard herbs (rosemary, sage). Pleasant, persistent and harmonic on the palate. Best serving temperature between 8º and 10º C.
2. CAMPOS DE CIMA, VINÍCOLA BOUTIQUE – Campos de Cima Extra Brut Sparkling, NV – Traditional method, Campanha Gaúcha region, 12.5% abv. Additional information: Following the success of the Brut Sparkling, Extra Brut was launched in 2012 and soon became a favourite among the winery. Produced from the same base wine as his older brother, Extra Brut only features the grapes’ natural sweetness. 3. CAVE GEISSE – Cave Geisse Brut Terroir Rosé, 2008 – Traditional method, Pinto Bandeira/Serra Gaúcha region, % abv. 4. CAVE GEISSE – Amadeu Brut Champenoise, 2011 – Traditional method, Pinto Bandeira/Gaúcha region, % abv. 5. BASSO – Monte Paschoal Brut Sparkling, NV – Charmat method, Serra Gaúcha region, 8% abv. Additional information: Vibrant and fresh on the palate with white flowers and green apple and peachy character. 6. BASSO – Monte Paschoal Moscatel Sparkling, NV – Charmat method, Serra Gaúcha region, 7.5% abv. Additional information: Floral with hints of honey aromas. The palate is zingy, bright and laden with subtle tropical fruit layers of passionfruit and melon. 7. GARIBALDI – Garibaldi Muscat Sparkling, NV – Asti method, Serra Gaúcha region, 8% abv. Additional information: Gold Medal – Mundus Vini 2013 : Clean and fresh aromas which remind us of fruits as melon and passion fruit; or even white flowers and a perceptible hint of honey. 8. GARIBALDI – Garibaldi Rosé Muscat Sparkling, NV – Asti method, Serra Gaúcha region, 8% abv. Additional information: Powerful and attractive, reminding cherry, raspberry, roses and a light and delicate touch of caramelized apple. 9. DON GIOVANNI – Don Giovanni Brut Sparkling, NV – Traditional method, Pinto Bandeira/Gaúcha region, 12.6% abv. 10. DON GIOVANNI – Don Giovanni Rosé Brut Sparkling, NV – Traditional method, Pinto Bandeira/Serra Gaúcha region, 12.4% abv. 11. VINÍCOLA SALTON – Salton Intenso Brut, NV – Charmat method, Serra Gaúcha region, 12.5% abv. Additional information: Made by the main sparkling wines producer in Brazil, this wine is a very refreshing, easy drinking sparkling style, with fresh fruit flavours and a delicate, creamy mouthfeel, finishing with crisp acidity. 12. VINÍCOLA SALTON – Salton Intenso Moscato, NV – Charmat method, Serra Gaúcha region, 7.5% abv. Additional information: A delightfully fresh and softly sparkling sweet wine. There’s a wonderfully refreshing scent and flavour of crunchy citrus fruit, typical of the best Moscato sparkling made in Serra Graucha, Brazil. 13. VINÍCOLA AURORA – Aurora Moscato, NV – Charmat method, Serra Gaúcha region, 7.5% abv. Additional information: A sweet, soft and delicate sparkling wine with a higher amount of residual sugar and a lower alcoholic content. Vinicola Aurora is the biggest co-operative in Brazil with over 1,100 families counting themselves as members. 14. VINÍCOLA AURORA – Aurora Moscato Rosé, NV – Charmat method, Serra Gaúcha region, 7.5% abv. Additional information: A sweet, delicate sparkling wine with a higher amount of residual sugar and a lower alcoholic content. Vinicola Aurora is the biggest co-operative in Brazil with over 1,100 families counting themselves as members. 15. VINÍCOLA MIOLO – Miolo Cuvée Tradition Brut Rosé, NV – Traditional Champenoise method, Vale dos Vinhedos/Serra Gaúcha region, 12.5% abv. 16. VINÍCOLA MIOLO – Miolo Brut Millesime, 2011 – Traditional Champenoise method, Vale dos Vinhedos/Serra Gaúcha region, 12% abv. 17. CASA VALDUGA – Casa Valduga Brut 130, NV – Traditional Champenoise method, Vale dos Vinhedos/Serra Gaúcha region, 13% abv. 18. CASA VALDUGA – Casa Valduga Arte Brut, 2012 – Traditional Champenoise method, Vale dos Vinhedos/Serra Gaúcha region, 12% abv. Additional information: This sparkling wine reveals lightness and freshness in its aromas and is characterized by hints of tropical and exotic fruit. Its unique personality permits a wide range of pairings including with fish, white meats, pastas and light sauces. The ART of this sparkling wine is found in its harmonious composition of 60% Chardonnay and 40% Pinot Noir. It presents a fine and persistent perlage and an incomparable aroma of tropical fruit and toasted bread. 12 months autolysis in storage. SPECIAL LAUNCH AT FIZZ: i heart Brasil Moscato Spumante, NV – Charmat Method; Serra Gaúcha region, 8.5% abv. With the World Cup and the Olympics on the horizon, everyone has their eyes on Brazil. The economy is strong; the wine industry is established and family-based; producers are investing in export. International wine indicators show Sparkling wines, Moscato and wines with moderate alcohol are three of the strongest trends – these are Brazil’s highlights too. Everything today’s consumer is looking for is what Brazil does best! Make an appointment to find out more, to talk to the producers or if you want to interview the Director of Wines of Brazil. Short of time – or want to taste a range of Brazil’s iconic wine styles – then come along to the Discovery Table and enjoy: Sparkling Celebration, Moscato Champion and Kick Back with Less Alcohol. Have a bit of fun and in the lead up to the 2014 football tournament in Brazil, join our wine tasting / football game. No need for kit, no need for Beckham-like qualities – you’ll be able to score (and win) like the best of them! Brazilian “Highland” Wines This is the first time wines from the Santa Catarina region will be exhibiting at an International fair. This is a unique and exciting opportunity for Vinexpo’s visitors. This region is highly influenced by the cold climate and winds of La Niña and long days of sun resulting in high quality wines with the ability to age and, in some years, the possibility to produce ice wine. Don’t miss the chance to taste some of the wines from these six producers and meet a representative from the region: Hiragami, Kranz, Sanjo, Santa Augusta, Santo Emilio and Suzin.